North Ayrshire Health and Social Care Partnership and The Scottish Government are jointly funding a £50,000 Participatory Budgeting (PB) initiative to improve mental health and wellbeing in North Ayrshire. Proposals have been made within Glasgow City Council to commit £1m per council ward to participatory budgeting. 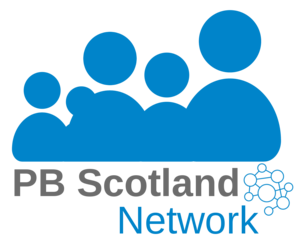 In January 2016, South Lanarkshire Council and partners organised PB events in four locations in South Lanarkshire which took place across two days. The events allowed local people to decide how best to spend money on facilities and activities for young people. PB Scotland reports from one of the events, held in Springhall Community Centre. Communities will be able to vote on how councils spend money through a funding boost of nearly £500,000, Community Empowerment Minister Marco Biagi has announced. Thirteen councils will receive a share of the participatory budgeting fund, which will give people the opportunity to decide where investment should be directed in their local community. Perth and Kinross is organising a PB event on 4th February 2016 to enable unpaid carers to be involved in deciding how money is spent to benefit them. On Saturday 7th November 2015, the Coalfields Regeneration Trust (CRT) supported a PB event in Prestonpans, in which local people voted for their favourite projects and help decide who shares the £20,000 participatory budget provided by the CRT.